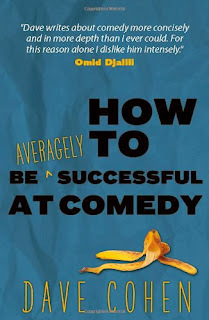 I’ve recently finished Dave Cohen’s highly readable book, How to be Averagely Successful at Comedy. 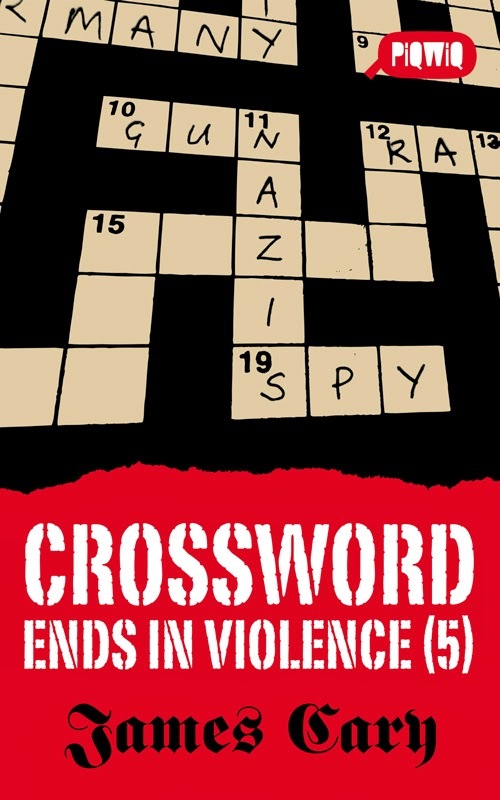 I recommend you rush out and buy a copy.You can order a copy from Amazon here or you can stick it to the man and order it from Dave's local book shop here. I have to declare an interest here. I know Dave personally, mainly through running comedy writing workshops with him. But you know what? I thought I knew the guy, until I read this book, which is a real eye-opener to the comedy business. So in the interest of balance, here’s my problem with the book: The title. 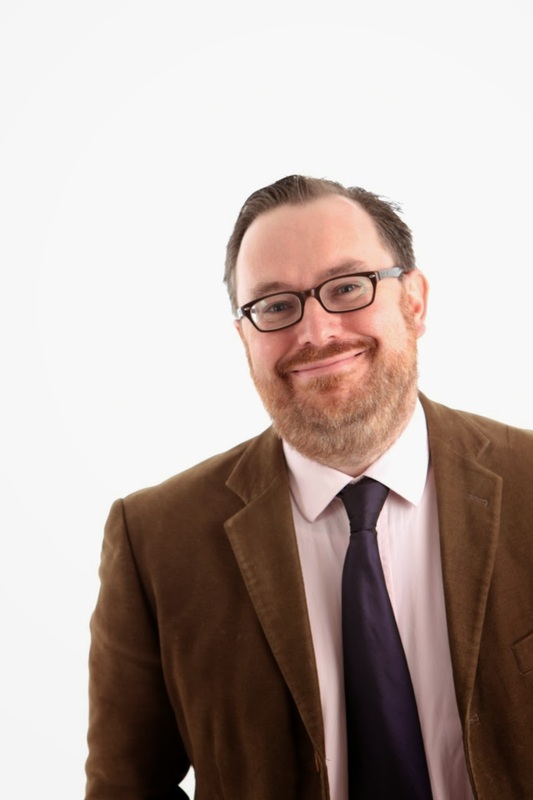 Dave has made a living out of comedy for decades, writing for Have I Got News for You, Horrible Histories, Not Going Out as well as numerous radio shows and his own Fringe shows. And he was one of the original Comedy Store Players. All of the above do not make him ‘averagely’ successful, but ‘quite’ successful, at the very least. But this is why the book is so refreshing. Success in the comedy business often doesn’t feel like success. It feels like scraping by. Just making a half-decent living to feed your family is a struggle. Surviving the quicksand that is the comedy industry takes immense effort, as well as talent and a bit of luck. And since comedy is such a personal art, it means pouring your heart and soul into every piece of work. And doing that year after year takes its toll. This book reflects that difficult journey. There’s plenty of joy in the book too. Dave tells the odd success story, shares the feeling of being on stage when its all going well – and how he was the man to coin the phrase ‘Comedy is the new rock and roll’. The book is also packed with lots of useful practical advice on building a career, making your own comedy and how the comedy industry really works. 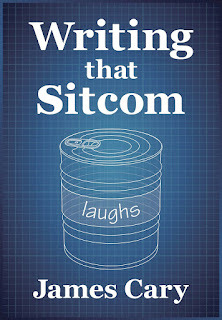 There’s also loads of technical advice on writing all kinds of comedy. In short, this is not your average ‘how to’ book about comedy – it’s far too personal, practical and prophetic. I heartily recommend you seek out a copy, take it into a quiet corner and devour it. Dave and I are doing some more of those comedy writing worshops on the 14th and 21st March. More information here. So following on from Part 1, you’re watching a take of your scene in your show and an actor keeps saying a line in a weird way, or the ‘wrong way’. This happens, although less than you might think because of the process leading up to this moment. You’ve probably been in on the casting of your show so hopefully you’re happy with the actor playing the part and what they bring to it. Bear in mind the actor is only really thinking about their character’s perspective which, at first, seems sociopathic, but is both legitimate and very useful. They can, will and should question the logic of lines, whether their character would do or say the lines that you’ve written. The ‘What’s my motivation?’ is a cliché, but it’s true. Every line needs to be motivated by character, story and logic, rather than being a useful transition line or being a bit of exposition. Maybe the line is fine – but the logic of it isn’t clear from what's on the page. If that’s explained, that might help. Sometimes, a direction in the script will help eg. “NICK (like a sullen teenager) Just doing my best.” TV is made fast and there isn’t time to stop over every line and talk about it, so a bit of direction on the page can speed things along. But if you do it too much, it looks like you, as the writer, don’t trust the actors to find the line, or the director to direct the actors. So you need to find a balance. Many of the problems can be ironed out before shooting. After the cast have rehearsed the scene on set, there’s a rehearsal for the crew (including you) to watch. After that, there should be a quick huddle with the producer and director and you have a chance to make suggestions. Eg. ‘Barry is saying that line about the fence-post a bit weirdly. He should play it as if he’s angry rather than puzzled. Does that make sense?’ And the director will be able to convey that note to the actor if they think it’s going to help. Remember, as the writer, you know what makes your characters tick. The director knows what makes the actors tick and how to get the best performance out of them – so you do your job and let them do theirs. Sometimes, you will want to intervene – and this is normally fine, if done right and respectfully. Don’t muscle in and talk to actors. I personally wouldn’t even talk to the director directly unless he asks me directly. The directors has got 1001 other things to think about – mostly how to shoot the scene from enough angles in the time allotted, which is never enough. You’re probably sitting with the producer. Talk to them. They’ll have thoughts of their own – and they’ll know the best time to talk to the director between takes. There are times when the line just isn’t going to be said right – in your opinion. It may work well for other people, or feel more truthful in the scene. If it sounds weird and wrong, it might be cut in the edit. But don’t dwell on it. This actor who’s mangled one of your jokes has probably done something brilliant with a different line somewhere else in the script, turning a straight line into a joke with a tone of voice. Or reacted to line a really funny way. Let go of that line. In a half hour sitcom, you should really should have about 100 jokes. So there are others. You are a team: You (the writer), the producer and the director – and the cast. That’s why you need to be careful who you work with in the first place. The key relationship is between the writer and the producer. It’s always flattering and exciting to have a producer interested in your idea, but if you feel they’re constantly pulling the show into a direction you’re not happy with, or you think they’re a jerk or incompetent, stop. Think. Do you really want to work with someone for hours, weeks, months, constantly making decisions together, the result of which will be broadcast on national television? Probably not. Although frankly, it still beats real work. I’ve been asked about how much say a writer gets in casting, what happens if the scene isn’t being played as you’d hoped, or what you do if a line is being delivered incorrectly. You, as the writer, are crucial. It’s pretty much your show – and the show is your vision. But, once the show is in production, you are not in charge. That’s the producer. The producer is in charge of delivering as good a programme as possible on time and on budget. They are spending over a million quid filming your TV series. They probably want to do this in partnership with you. Naturally there are many ways in which this can wrong and anecdotes along these lines are often magnified in the stories that float around the industry or in showbiz fiction. In series 2 of Extras, we see, on screen, a break down in trust between the writer/performer and the producer of When the Whistle Blows, the sitcom that Andy Milman has written. 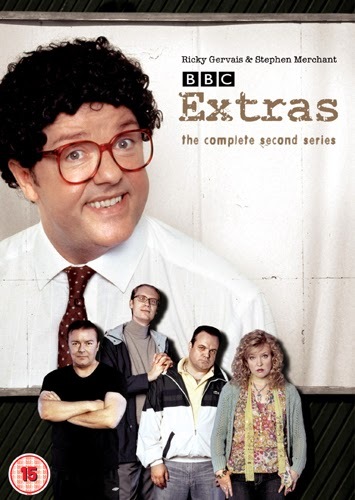 My recollection of that first episode is that seemingly at the last minute, the producer thinks some comedy glasses and a wig will make all the difference. Millman is disillusioned and now seems to depise the show that they’re making. I always found this hard to relate to. What sort of show did Millman think they were making? 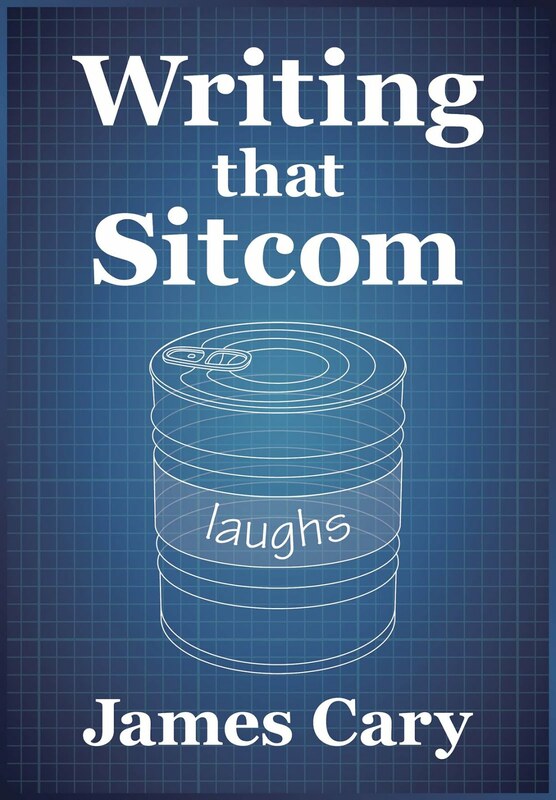 Milman’s written a big, broad audience comedy with catchphrases that’s being filmed in front of an audience. And surely these discussions have already been had? It didn't ring true for me. Of course, things can go wrong between a producer and writer. But assuming they will is a mistake. And the key to a good relationship (in any sphere of life) is communication. Have you articulated your vision for the show in the script? And in person? There is naturally uncertainty at the beginning, and it continues right up until shooting and beyond. In the development process on Bluestone 42, it felt like were all roughly on the same page – especially as we spent a lot of time together with a pilot script and casting the show which is crucial to establishing the tone – but it was only when we saw some scenes that we’d shot roughly cut together that we could all breathe a sigh of relief that we were all trying to make exactly the same show in terms of style, tone and look. So how do things look when they feel like they are going wrong? And what can you do? Sometimes, when you’re actually shooting a scene on location – or watching a technical rehearsal in a studio, a scene ends up looking different from how you’d imagined. The director has made a choice or even changed the scene slightly in order to make it work. It doesn’t happen all that often in my experience. A decent producer will head that off by having the director talk through the script with the writer a few days or weeks in advance to make sure that nothing crucial is changed, or if changes are made, the writer is alerted to make sure this doesn’t impact on anything else in the script. So the scene isn't how you imagined it. It's all wrong. Before you go off on one, stop and think. The director has staged the scene in a certain way for a reason. It may be so that it looks awesome – which is perfectly good reason to stage a scene a certain way. But it may look so awesome, or staged, that it makes it less funny. It’s odd that things looking cool, or like a TV commercial, can sometimes fight the comedy in a scene. The scene may look awkward and clunky – maybe because the logistics of the script dictate it happen this way and you’d not realised this in the way you wrote it. Maybe the director has slavishly followed what you have written and your script is at fault. Occasionally, the director has a previous draft of the script in his head and hasn’t noticed the changes that you’ve made have profoundly altered the blocking of the scene. In which case that's unfortunate, but not the end of the world and probably fixable. If there’s a problem, best not bowl up to the director and tell them they’ve got it all wrong. Talk to the producer – who might say that they tried it a different way at first, but the cast felt it was very unnatural, or it proved not to be practical because, say, a character had to walk across the set saying one line, but the line itself isn’t long enough to cover walk, so they changed the walk rather than the line. Complicated, isn’t it? Sometimes, on the day, things just don’t quite work out as you’d expect for reasons beyond the director’s or producer’s control. In the Christmas episode of Bluestone 42, there is a brief bit of nativity play which takes place on a temporary stage erected in the base. When it came to shooting it, the stage was built in a slightly different place to where we’d imagined it would go, which meant that one part of the scene wouldn’t quite work as planned. We wanted Rocket in standing in one of the watchtowers behind the stage, but that wasn’t going to work now as he’d be too far away and it would seem odd. Moving the stage would take too long, and the reasons Rocket needed to be in the watchtower had largely been cut from the script. So we put a military vehicle behind the stage and had Rocket stand on that and it looked great. Perhaps better. There's usually more than one way to stage a scene and find the funny. So keep an open mind. It may turn out the producer and director know what they're doing. That's Part 1. Part 2 is here.